Like any product you apply onto your body, you should *always* do a test on a small part of your skin before full application. 1. 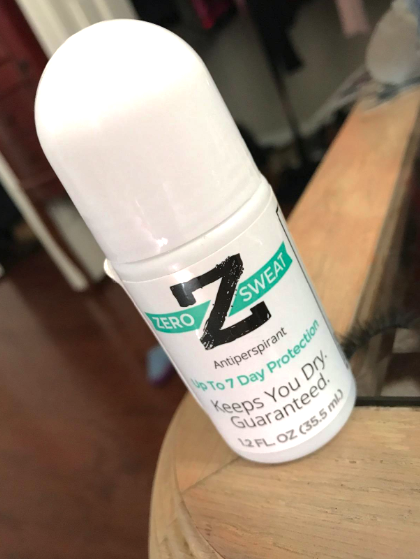 ZeroSweat's clinical strength antiperspirant can reduce sweat (pit stains, who?) for up to seven days. Do you know all the things that can be done in SEVEN WHOLE DAYS?! Keep in mind that because this is a strong antiperspirant, it should not be used immediately after shaving/bathing. 2. La Fresh's individually wrapped antiperspirant wipes not only refresh your skin, but give you added protection to get you through the day. Just toss one in your bag and whip it out when you feel some sweat comin' on. Get a 50-pack from Amazon for $19.99. 3. Super Natural Goods' Underarmed aluminum-free deodorant is made without any synthetic fragrances so your pits feels just as good as they smell. 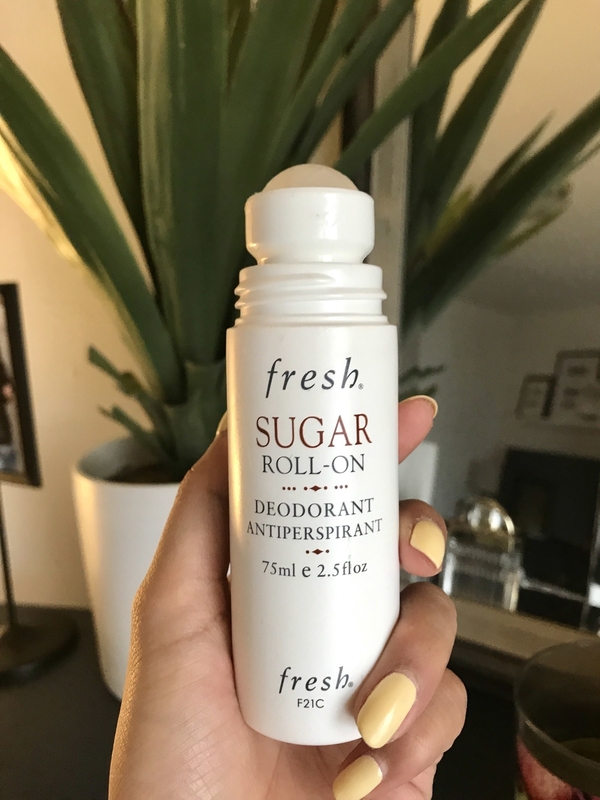 You can read my entire review on this roll-on deodorant here! 5. Purely Northwest's tea tree oil body wash combats odor-causing bacteria with its blend of powerful essential oils and botanicals. It's gentle enough to use daily, and can even help with athletes foot, nail fungus, and other skin irritations. 6. Bali Secret's roll-on deodorant is packed with natural ingredients, including seaweed extract and mineral salt, which are known to reduce the bacteria responsible for causing body odor. It's also made *without* baking soda, parabens, aluminum, and synthetic preservatives. Get it from Amazon for $13.99 (available in five scents). 7. Pacifica's underarm deodorant wipes are great for a post-gym body refresher because each towelette is infused with coconut milk, witch hazel, and shea butter — and without any of the nasty chemicals you wouldn't want on your skin. Get them from Amazon for $7.70+ (available in five scents). 8. 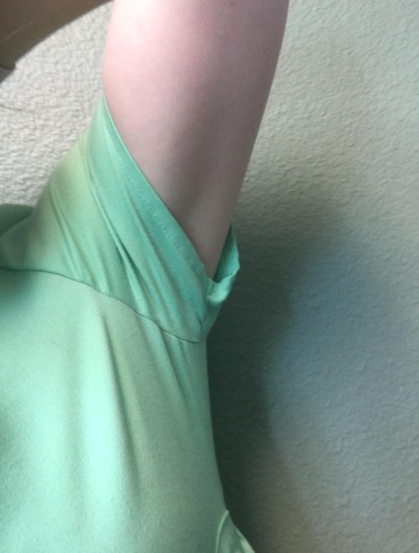 Certain Dri's antiperspirant and deodorant works double time to protect you from excess sweating and body odor so you can live your dang life free from any armpit woes. Get it from Amazon for $5.67+ (available in solid and roll-on, plus with or without added deodorant). 9. SweatBlock's antiperspirant towelettes keep you dry for up to an entire week (a week!). Just gently wipe before bed, let dry for five minutes, get your sleep on, and wake up with dry, happy armpits. Get an 8-pack from Amazon for $19.99 (each box lasts two months). 10. Island Deodorant's original natural deodorant is made with probiotics, coconut oil, and jojoba oil to target embarrassing odor and keep your skin odorless. Plus, its minimal ingredient list means there are no strong fragrances — just a light scent. 11. Rockin' Green's laundry detergent powder rids clothes from odor, stains, and apparently...a whole TON of dirt. After all, having fresh-smelling clothing is part of the battle for odor-free armpits! And if you're skeptical that some of the darken water is clothing dye like I was, consider your skepticism squashed. Reviewers posted photos of clean, white bedding and clothes soaked in this and the results were similar. Get a 45-oz. bag from Amazon for $20.99. 12. And, lastly, Duradry's 3-Step Protection System treatment comes with an antiperspirant/deodorant stick, body wash, and night-time antiperspirant to effectively treat excessive sweating for up to eight weeks. The deodorant stick can be applied every day, while the night time treatment should be used every couple days. Everything used at that frequency should last you about two months. And if you want more, see what BuzzFeed Reviews picked for best natural deodorants.